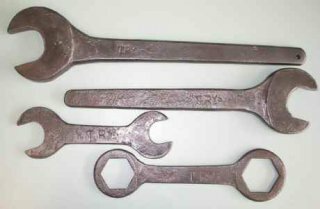 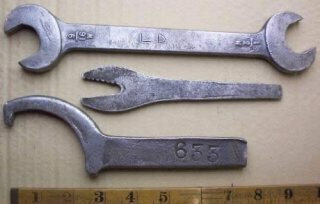 Workshop wrenches generally covers wrenches of various types that have been produced for use within large engineering workshops incuding workshops of government departments. 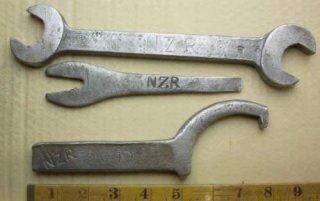 They also include tools produced for use on sites operated by the Department or company and were often designed to suit specific pieces of equipment or other infrastructure. Railways are an example of the sort of organisation that uses specific tools on a scale that justifies custom design. The tools are either made within the workshops themselves or made on their behalf to meet their specific requirements. These tools often had branding related to the workshop they were intended for.